My laundry room is getting closer and closer to exactly how I want it to look! When we were building the house, the builder insisted on installing the washer and dryer outlets at pedestal height even though I didn’t have a washer and dryer with pedestals. Well I hated it! Lesson learned don’t let someone talk you into something you don’t need or want. I enlisted my husband and dad’s help to make a shelving unit and mantel piece that would cover up the unsightly outlets. We love going to Canne Rosso in Dallas for their authentic wood-fired pizzas! Their pizzas are made with fresh in-house dough using “OO” flour. To make things better, their oven sits at about 900 degrees, making the wait for your pizza only a couple of minutes since they cook in about 90 seconds. You cannot go to Canne Rosso without ordering their famous dessert the “Pinche Julio.” This dessert is not on the menu so you’ll have to remember it’s name to order it. Recently, my husband and I were experimenting with recreating this dessert because we loved it so much. 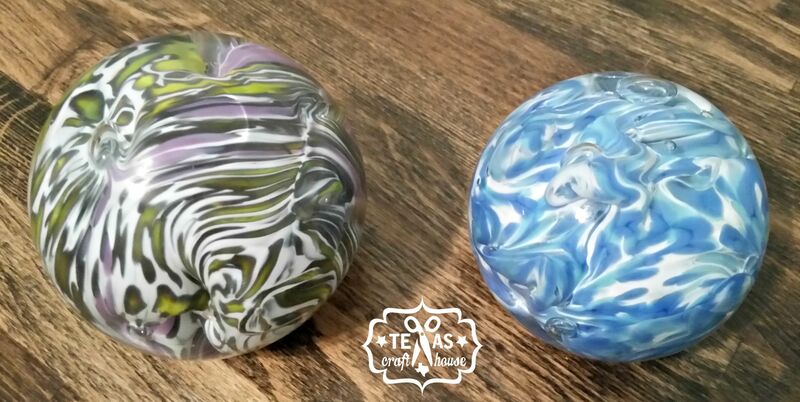 A few weekends ago, Cassie took me to Sinaca Studios in Fort Worth, TX to learn how to blow glass for my birthday! Yes, my birthday was in January and we were only just now able to attend the class because the studio is so popular, but boy was it worth the wait!